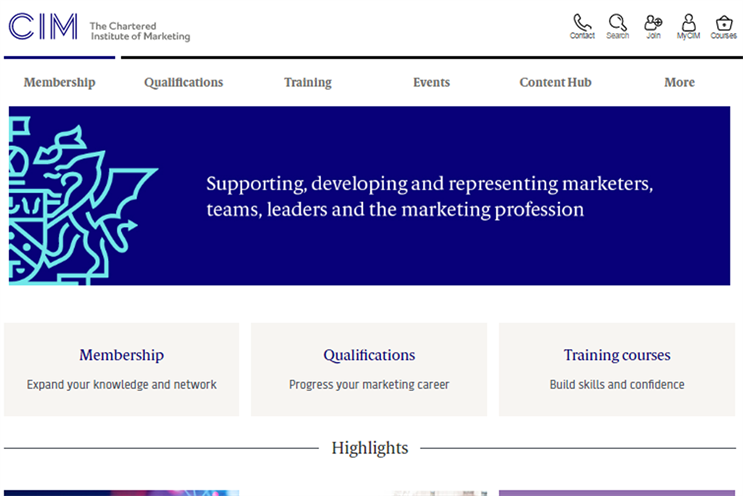 Marketers need to speak up about the value they contribute to organisations, the chief executive of CIM has warned, after the professional body unveiled a new strategy. The body has identified the dual aims of fostering professional advantage for marketers and business advantage for their organisations, as part of an approach that Daly said would increasingly see it partner with other organisations – potentially including specialist marketing organisations, and regulatory bodies. Chris Daly, CIM's chief executive, said: "Marketing has been not good at marketing itself. When you are the person round the table who has that customer insight, you’re seeing what your competition is doing to your customers, and what you’re doing to your competition’s customers. No-one else around that table is doing that. "Businesses don’t always call it marketing – we shouldn't be embarrassed about saying that marketing is at the centre of what you’re doing." CIM aims to grow its influence by a third worldwide by 2020 – something it will measure by the number of people it reaches, whether through training, events or other channels. Its role as an organisaiton needed to evolve to promote and support the vital strategic role played by marketers, Daly said. "CIM for years has been renowned for training and qualifications," particularly in particular skills such as digital and research, he said. "What CIM failed to capture was that strategic aspect. There hasn’t been enough partnering or collaboration." The importance to businesses of hiring professional marketers would only increase with the implementation next year of GDPR, Daly added. Kick-start your career: Do you have the skills to be a CMO?